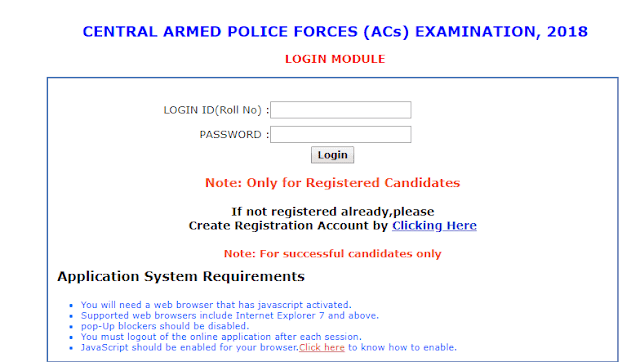 UPSC Central Armed Police Forces (ACs) Examination, 2018 Last date of Detailed Application form is 28th January 2019. Union Public Service Commission opened window of Detailed Application Form(DAF) for Central Armed Police Forces (ACs) Examination, 2018 on 14th January 2019. Candidate who qualified CAPF (ACs) Examination, 2018 held by UPSC on 12th August, 2018 are eligible for DAF. It's now a few days left for DAF so fill your detailed application form now.